Mechanical key switches, a single key life of up to 60 million operations, making it durable and reliable in your game. Conflict-free design for 104 keys on the keyboard, allows you to press any number of keys simultaneously, ensuring your every command is registered and executed exactly and rapidly. 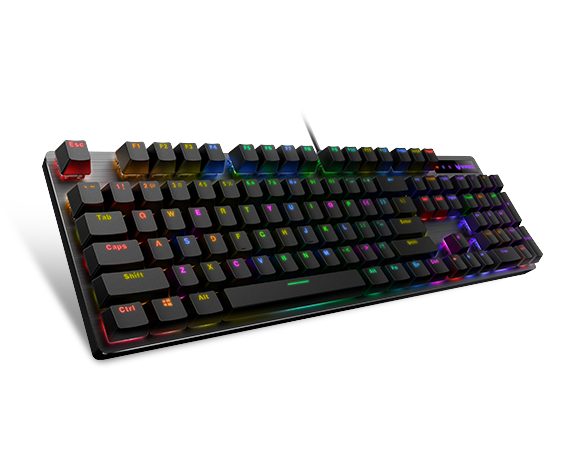 With RGB backlit,the all key's color and breathing mode can be customized by driver in the game mode.You can switch varities of backlight mode with FN combination keys in the office mode.